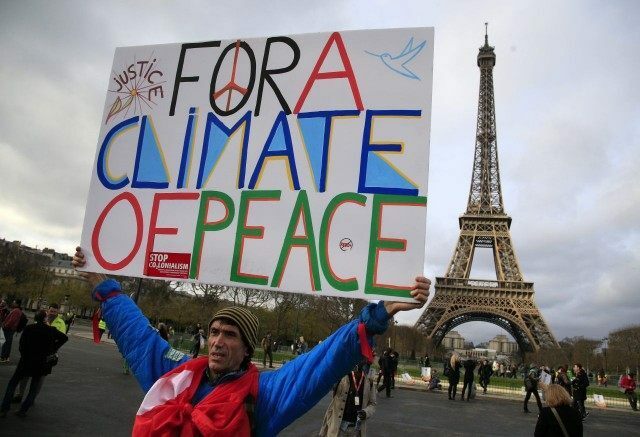 A chemistry professor at the University of Louvain in Belgium has delivered his damning verdict on the COP21 climate summit in Paris. His name is István Marko and, by the sounds of it, he’s not going to be getting a Christmas card this year from James Hansen, Naomi Klein or Al Gore. Here is what he says in an interview with the Belgian online newspaper Le Peuple. This conference is a failure but not for the reasons given by the NGOs, who are only concerned about it not having gone far enough. Extreme alarmism is the only thing they understand. No, much more simply it was a massive failure because it didn’t impose a single obligation on the signatories to do what they had just promised. Nothing in the agreement is binding. It’s just wishful thinking. As for this $100 billion which the rich countries are supposed to be paying to the third world to help finance their emissions reductions – it’s just not going to happen. Where is it coming from? Will it be loans or donations? Will an interest rate be applied? There is nothing in the report about the nature of this financing. There are no penalties for non payment. There is no organ of control. China can continue to emit CO2 without restriction up to 2030. These emissions would correspond to an increase of 140% over its 2005 emissions, and India 150% of its 2005 emissions. Other developing countries can emit CO2 as they see fit. No decrease in emissions! This figure has absolutely no physical or scientific basis. It’s a joke. It was just plucked from the air by Hans Joachim Schellnhuber, director of the Potsdam Institute for Climate Impact Research in Berlin, which is Germany’s green lobby. He’s also Angela Merkel’s climate advisor and responsible for Germany’s crazed war on energy. He’s also the co-author of Pope Francis’s Encyclical which recently gave voice to the Church of Climate Alarmism.